Ellen stands in the La Grande Community Garden. 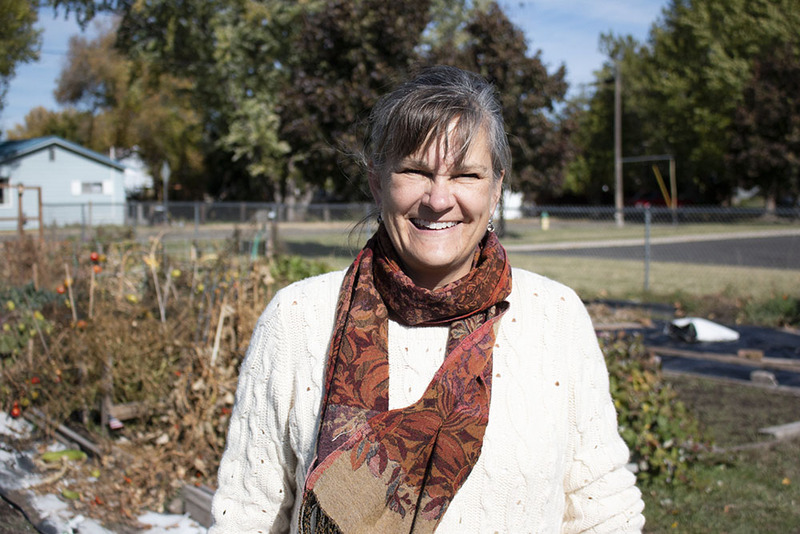 Ellen Hartstirn spends most of her time at the La Grande Community Garden in La Grande, Oregon. 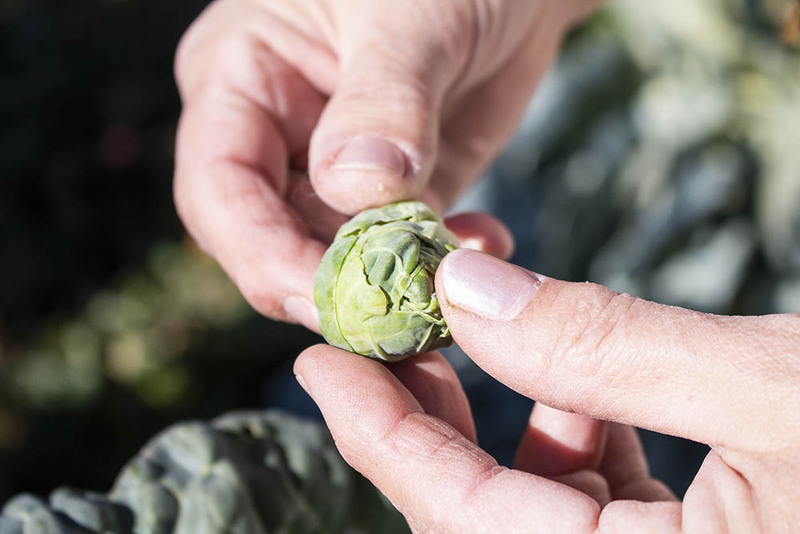 “It’s just a beautiful place to be,” said Ellen standing next to her budding brussel sprouts. “I grew up with parents who were gardeners and I enjoyed gardening with them ever since I was little. My brother, sister and I have just continued to enjoy gardening wherever we are,” said Ellen. Ellen has been involved in the community garden for three years and is the Chairperson of the community garden. 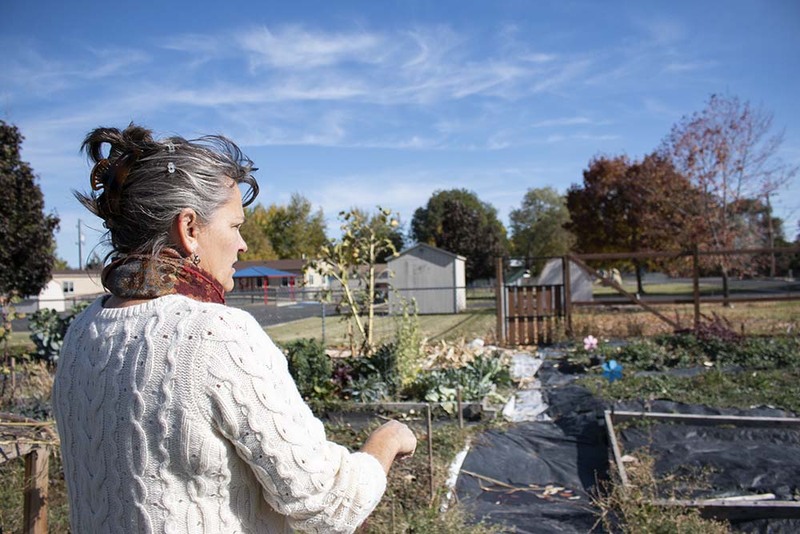 The gardens started in 2005 by Oregon Rural Action and Eastern Oregon University as an effort to bring the community together through growing food. Ellen holds a brussels sprout from her plot at the garden. A close up of Ellen’s garden plot at the community garden. There are 51 plots on the lot and the plots are open to anyone in the community. 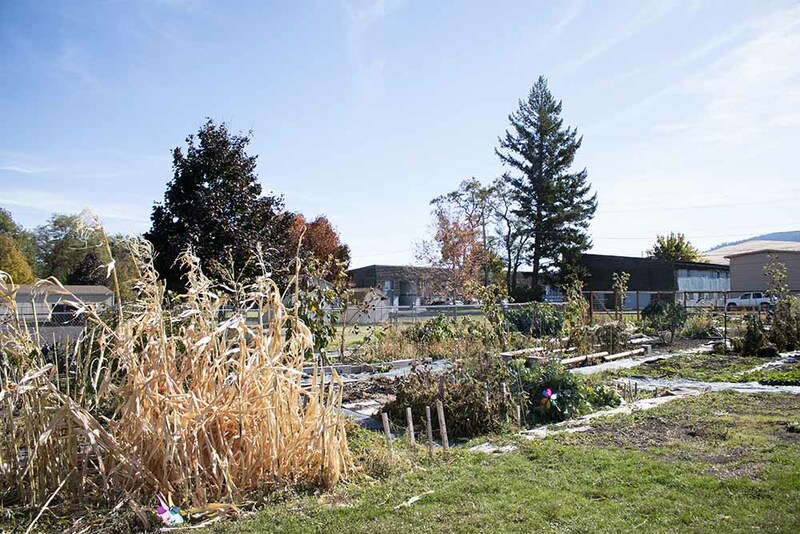 Since its start, the community garden has received donations from individuals and businesses for plants, services, compost, seeds and materials. The garden brought a lot of the community together. “Anytime the garden comes up in conversation people are always interested. When people are walking by on the sidewalks they are always checking out what’s growing and they tell us how they enjoy watching how the garden changes over the season,” said Ellen. Ellen examines her greens at her plot at the community garden. Ellen loves watching the gardens bloom and the relationships between gardeners grow. “I think there’s just something so wonderful about planting and nurturing and harvesting. People enjoy sharing their produce with one another and showing off what they’re growing. People pitch in to help each other out,” said Ellen. Ellen at the La Grande Community Garden.